The second of the two great nations of Men founded in Middle-earth by Elendil after the Downfall of Númenor, the other being Arnor in the north. 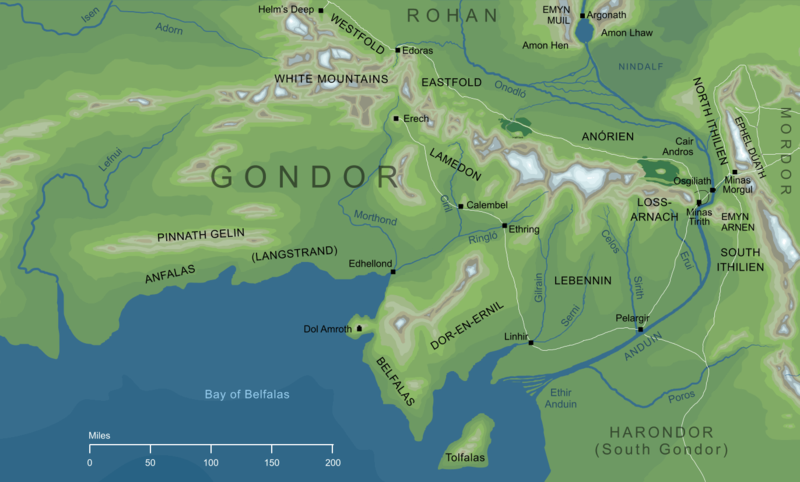 Gondor was at first ruled jointly by Elendil's sons Isildur and Anárion. Both Elendil and Anárion were lost in the Siege of Barad-dûr, and Isildur soon afterwards in the Disaster of the Gladden Fields, and so the Kingship of Gondor fell on Anárion's son Meneldil. Thus, the Kings of Gondor were descendants of Anárion through many generations until the time of Eärnur. When Eärnur was lost in Minas Morgul in III 2050, the rule of Gondor was taken up by the King's Steward, Mardil Voronwë; the death of Eärnur was not certain, and so Mardil and the Stewards who followed him pledged to rule 'until the King comes back'. Unlikely though this seemed, it happened almost a thousand years later in III 3019 when Aragorn II Elessar, descendant by right line of Isildur, elder brother of Anárion, reclaimed the throne of Gondor.  Original content © copyright Mark Fisher 1997-2000, 2002, 2008. All rights reserved. For conditions of reuse, see the Site FAQ.